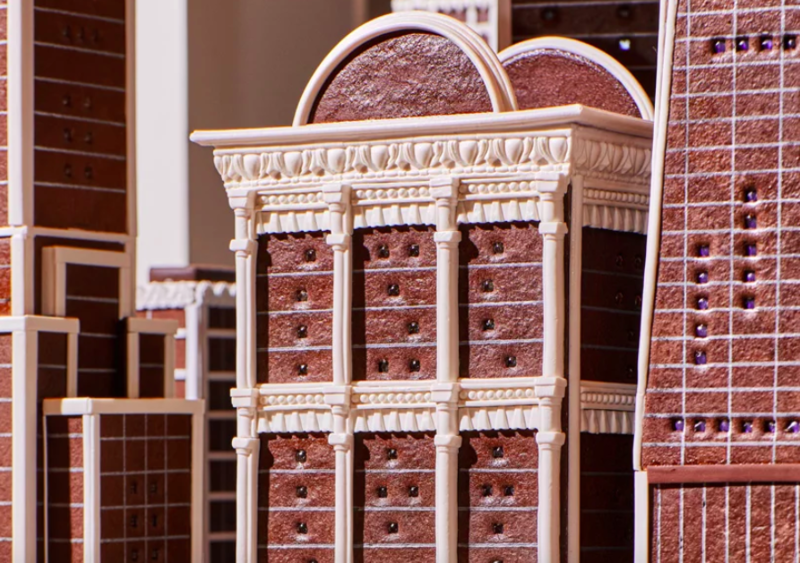 It’s not unusual for architecture enthusiasts to drool over elaborate scale models, but edible materials definitely add an extra dimension to our hunger for accurate miniature details. 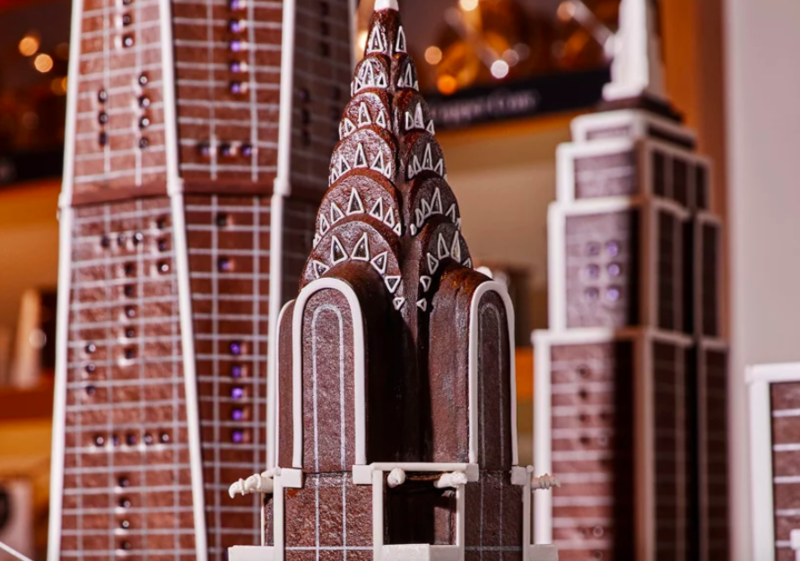 More than 200 pounds of gingerbread, 60 pounds of royal icing and 10 pounds of gum paste and pastillage went into the making of this holiday masterpiece completed by “gingerbread architect” (it’s a thing) Beatriz Muller for Williams Sonoma. 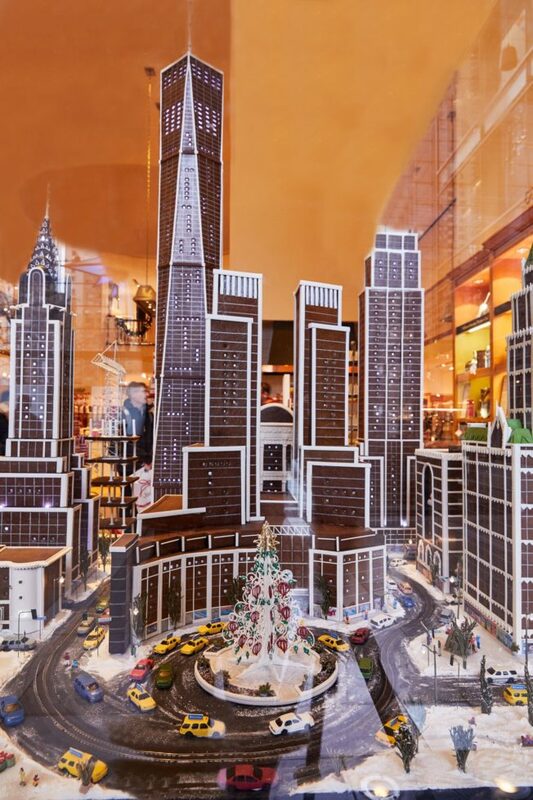 Currently on display in the window of the Columbus Circle location in New York City, the model recreates some of the Big Apple’s most iconic buildings and scenes, all measured and built to scale, including One World Trade Center, the Empire State Building, the Chrysler Building, the Woolworth Building and the Statue of Liberty with the Time Warner Center as the centerpiece. 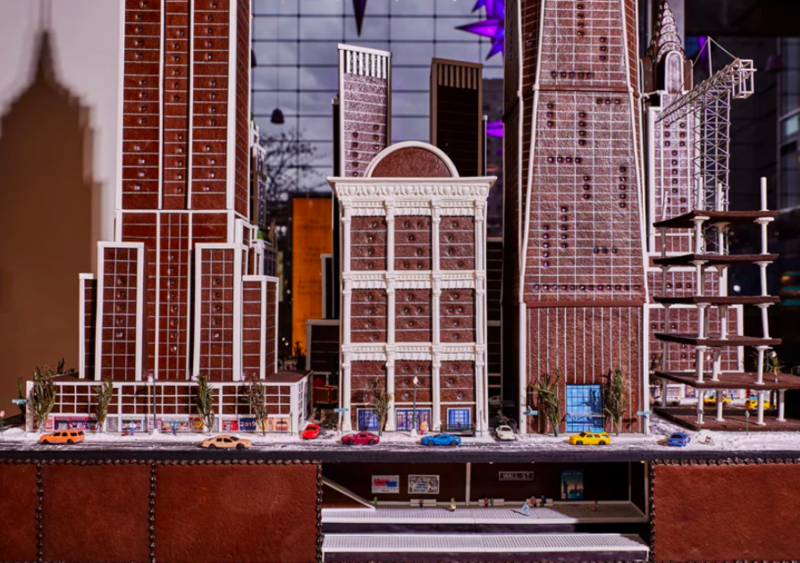 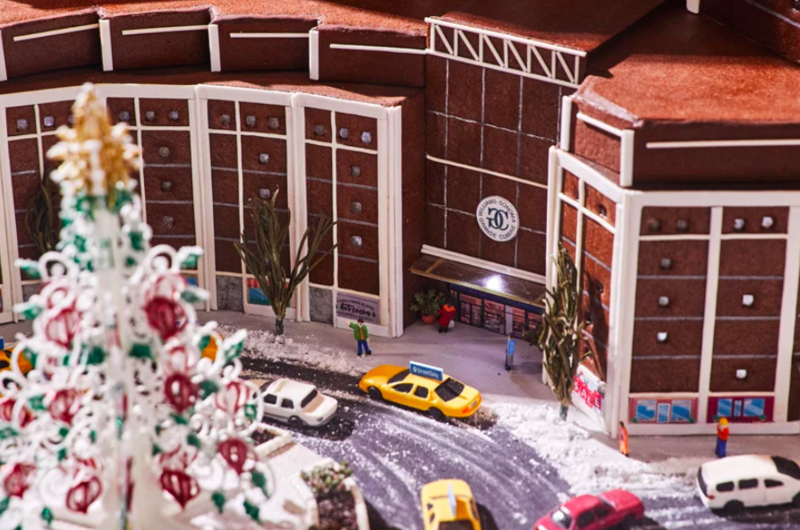 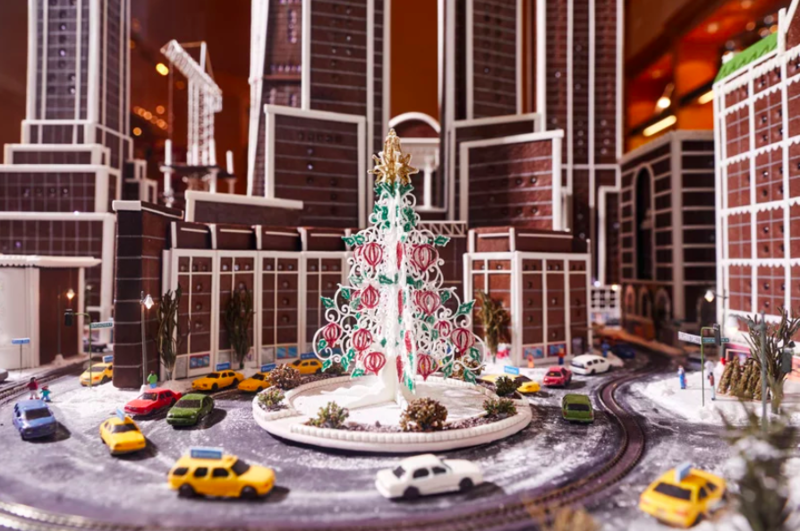 “Gingerbread City” stands more than six feet tall and weighs 300 pounds. 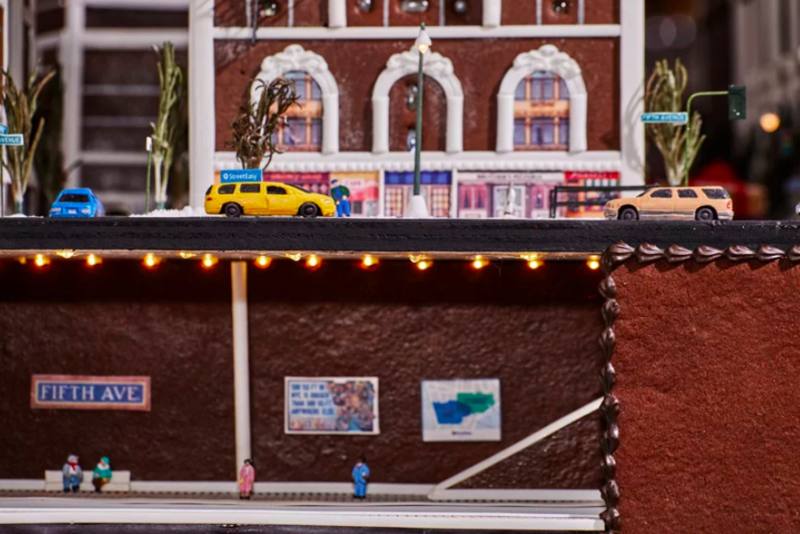 Look closely and you’ll spot some authentic details like a gingerbread subway, taxi cabs, tiny people, store windows painted with icing, construction zones, street signs and trash bags along with trees made of rosemary and dill. 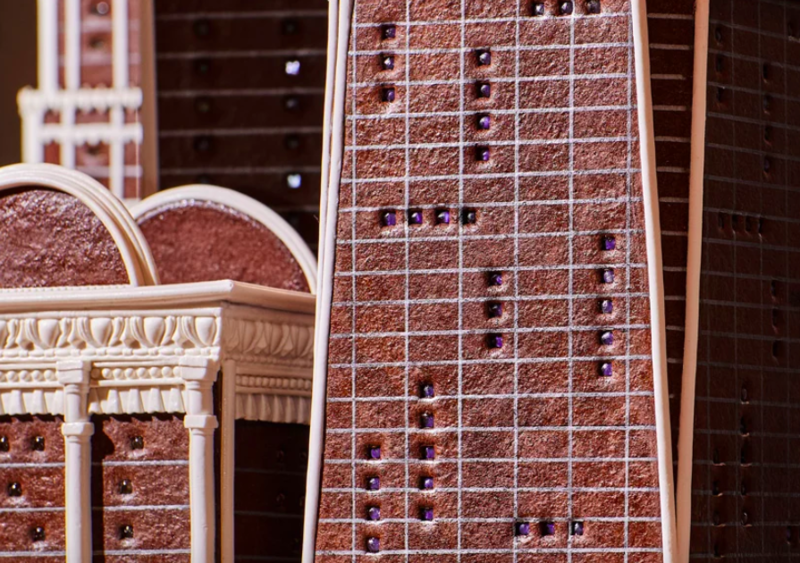 Muller notes that many complex gingerbread structures are technically edible, but made with altered doughs that are high on strength and durability while tasting like sawdust. 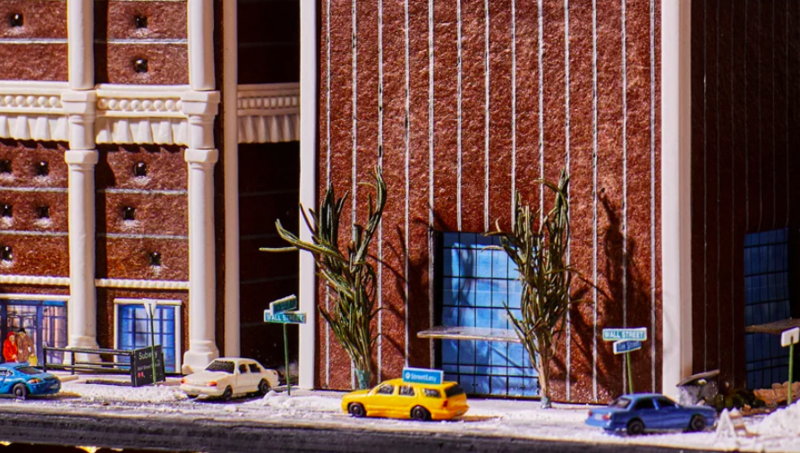 That makes it possible to use carpenter’s tools and sanders for easy construction. 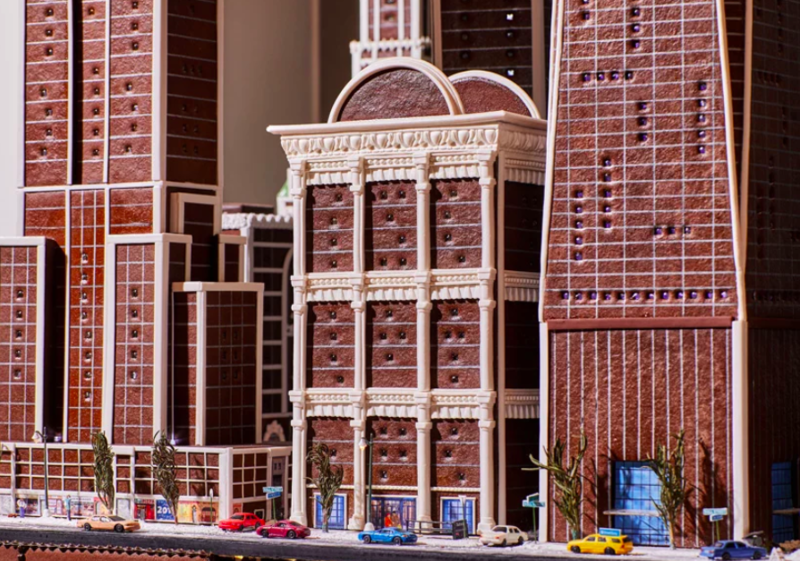 Hers, in contrast, actually taste good, and the only tools she uses are a small x-acto knife and ruler.